There are some very special people – they’re called DealDash customers! Here is how DealDash shows their appreciation for all of their bidders. There are different bidding sites that you could choose – yet you choose DealDash. This makes a lot of sense, seeing as how DealDash has the best and most helpful employees around. Even though the employees are great, the customers are the real stars of DealDash. This is why DealDash is so happy you’re here, and want to make sure that you are getting all of the help that you need on DealDash. Read on for more information on both DealDash customers and customer service. Need Help With Anything? No Problem! You can contact a customer service representative on DealDash anytime, day or night. Just go down to the bottom of the home page and there will be a button that says “Contact Support.” Simply click on that button and you’ll be taken to a screen where you can choose to either send DealDash an email or click on a “Live Support” button. Personally, I don’t care to do live support, but I have never had a DealDash issue that needed an immediate answer, either. If it’s something important that can’t wait, then live support is just what you need. Perhaps you have a question that can wait a bit longer, in that case, you might want to send DealDash an email. You’ll get a reply back within a day or so. I have actually had a reply back within 2 hours, so emailing doesn’t necessarily mean that you will have to wait a full day for an answer, either. Bid Sales – Even though DealDash bids are technically worth .60 a piece, DealDash has different sales going on almost every day. A bidder can pick up a bid pack for as low as .12 per bid, but keep in mind that .12 bid sale are usually reserved for holidays. Promotions – DealDash has many different promotions that are offered. Some of these are 2x and 3x Time As The Highest Bidder (TATHB) which means that you collect time on your time clock even faster than normal. Another bidder favorite regarding promotions is the $3 No Jumper limit. Normally, there are no new bidders allowed into DealDash auctions after the auction reaches a price of $5. However, during this promotion there are no new bidders allowed in after $3. This results in less competition for you. Free Bids – What’s better than a bid sale? Free bids, of course! You can get free bids on DealDash in a variety of ways such as the TATHB that we talked about in item #2, but that’s only one way! You can also get free bids by just visiting DealDash every day and placing a bid. You will get more free bids each day that you visit DealDash consecutively, until you are getting a cool 30 free bids per day. Thanks so much for reading this DealDash Blog article on how much DealDash loves their customers. Don’t forget to check back every day for new articles here are well as on our sister blogs, DealDash Reviews, and DealDash Tips. Be sure to read even more tips and tricks on the “Tactics & Tips” section on DealDash. Let’s get free bids by using the time clock! 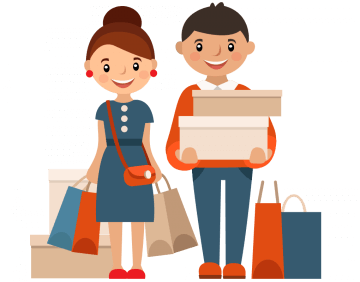 DealDash has the perfect items for you and your family. Visit DealDash now to see how much you can save. Have fun on DealDash, and happy bidding everyone! Tired of buying bids? Bid on bid packs! Read on for more information from DealDash. Do you ever bid on bid packs on DealDash? The bid packs category is a very popular category on DealDash that many people love. There are many different bid pack auctions daily, you’re sure to get a good deal on bids if you bid and win bid packs! If you’d like to learn more about bid packs on DealDash, keep reading. Firstly, don’t just bid on any bid pack that you see. That would be a good way to waste a lot of bids and get extremely frustrated. What you’ll want to do before bidding on anything is to do some research. You’ll want to see exactly what number of numbers of bids are offered in bid pack auctions today. After you have picked what number of bids you want to win, you’ll need to choose the auction that you want to participate in. From a quick look at the auctions that are going on today, I see choices from 100 bids to 6,000 bids. Depending on the day that you are bidding, there might be different choices. Next, after you have chosen the number of bids that you want to win, you’ll need to choose the auction. DealDash typically offers the same auction multiple times per day if it’s a common item like bid packs. So if you’ve decided to go for the 1,000 bid pack, then you should go through and see what all of the starting times are for the different 1,000 bid packs. Then you can determine what bid pack that you would like to bid on. Finally, you can either load up your BidBuddy with bids, or you can come back later if you want to watch the auction and do single-bids. My suggestion, however, is to put at least 1 bid in your BidBuddy. This way you won’t get locked out of the auction in case you don’t remember to come back in time for the auction to begin. Thanks so much for reading this DealDash Blog article on bid packs today. Don’t forget to check back often for new articles here are well as on our other blogs, DealDash Reviewed and DealDash Tips. We hope that your DealDash experience is a good one. Please let us know how we’re doing in the comments down below. Let’s get some free bids by using the time clock! DealDash has some awesome products up today, win and BIN and collect free bids! Visit DealDash now to see how much you can save. Have fun on DealDash, and happy bidding everyone!